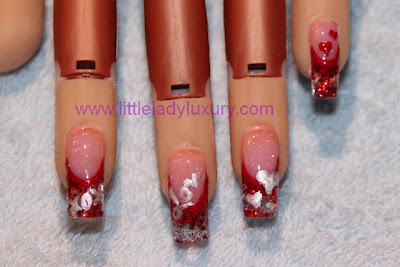 Little Lady Luxury: Happy Valentines Day! 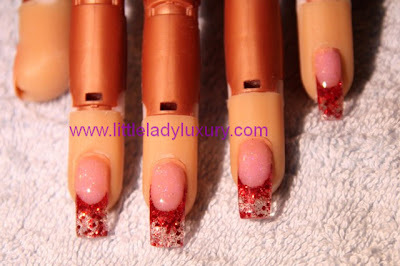 - Gel Red Glitter French! Happy Valentines Day! - Gel Red Glitter French! So this is going to be incredibly short - HAPPY VALENTINES DAY :) I Hope you're all out with loved ones instead of reading this blog post - really, wait to read it until the 15th. Go out and enjoy yourselves. I'm stuck on a boat away from my love, but I'm still going to make the best of today. 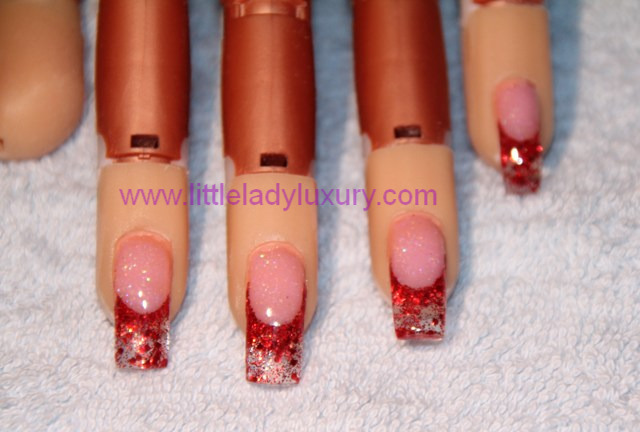 Anyway, on to the nails! I did these before I came offshore. Again, just practicing french's with my gel sculpting. 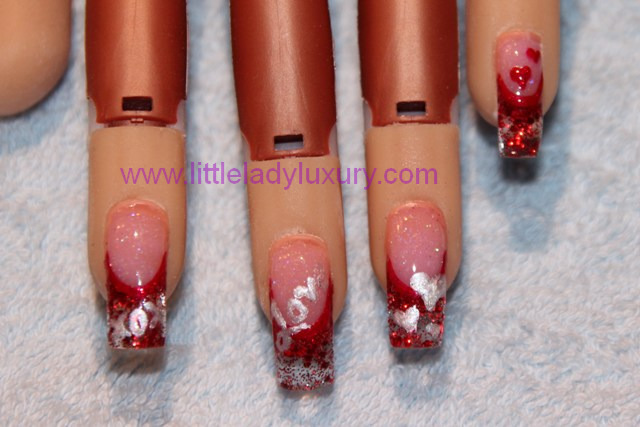 I also attempted some nail art that I hate... but I'll show you anyway. I'm sooooo out of practice its not even funny. I SWEAR I use to be good! :) Anyway lovelies, have a wonderful wonderful day!